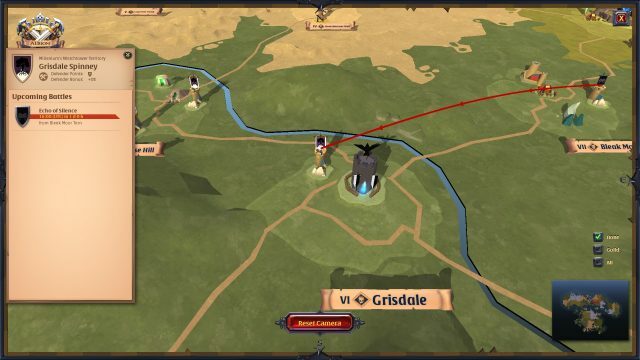 MMORPG Albion Online is the first offering from Sandbox Interactive. Set in a fantasy world where a lost island has been found again, it offers you the chance to take part in the rush to conquer this new place. 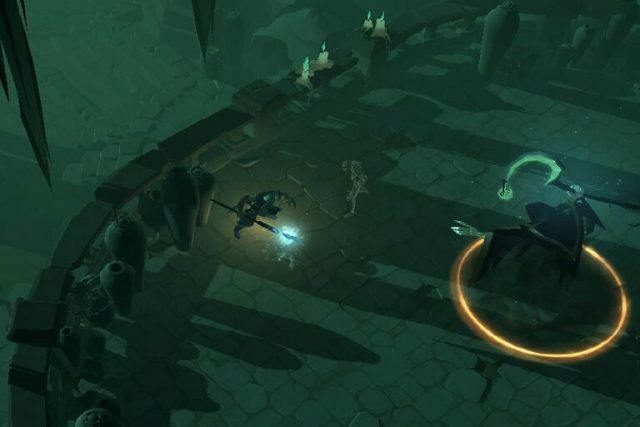 Will you work together with a guild to tame the wilderness, or strike out on your own? Or perhaps you’ll walk the path of villainy, praying on the unprepared. Platforms: PC (Reviewed). Android and iOS coming soon. 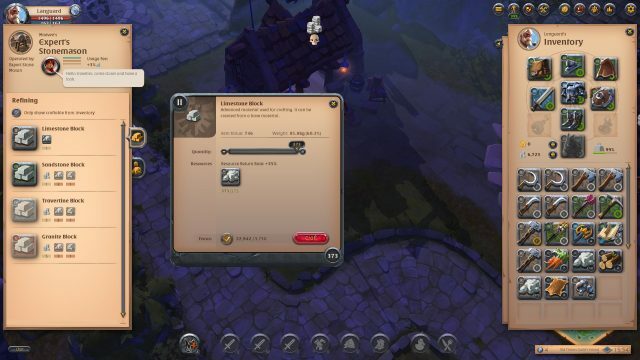 At its core, Albion Online is a sandbox MMO. The adventure and goals are what you make them to be. As such, there isn’t much of a story here. Unless you’re a real lore hound and go digging deep, you get the intro video that explains how Albion came about and why you’re there, and that’s it. There are factions, but if you can interact with them it doesn’t happen until much later in the game. The story here really is your story. How did you develop your character, what amazing moments of triumph did you have, and what was the worst betrayal you suffered? This could be a major make-or-break for many people, as if you need a coherent story to guide you along, you won’t find it here. So let’s talk mechanics, since this is where the game starts getting interesting. 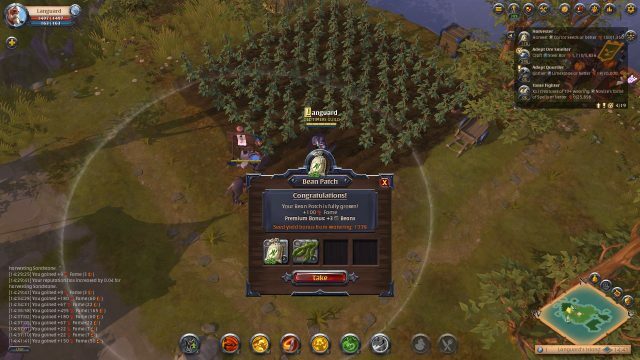 Albion Online does not have traditional levels, or really, levels in any sense of the word. Instead what you have is skill with specific pieces of gear. In the adventuring area you have three main skill sets initially grouped by armor type – Plate, Leather, and Cloth. When you first start a character, you’re taken through a quick tutorial area. By the end of it, which takes maybe 10 minutes if you know what you’re doing, you can craft all Tier 1/2 weapons and armor, and all Tier 1 gathering tools. This is where Albion takes an interesting turn. Since there’s no character levels, all of your skills, abilities, and passives comes from your gear. The lower tiers don’t have much choice, but higher tier gear will commonly have 2-4 choices per slot. This allows you create flexibility in build creation. From there it’s your choice as to what you do. Do you want to craft? Gather? Kill stuff? All of the above? Grinding out your skills to access Tier 3 on everything isn’t very hard, and probably a good idea. Tier 4 on everything will take a lot more time. So how do you keep track of your skills? Can I please just have a collapsible list? Please? Welcome to the Destiny Board. Not very user friendly is it? Sadly, this is a common complaint I have against the interface. There have been several points in which I’ve had to hit the internet or ask in guild chat how to do something, because the interface has issues. It’s not horrible, don’t get me wrong, but it definitely needs work. Getting back to the Destiny Board, this is how you keep track of all your skills, as well as your general progress as a hero. The progression system is based around the idea of fame. Every action you take earns you fame related to that action. So if you kill a bandit with a broad sword wearing leather armor, you would gain fame for all those skills. Crafting and gathering words the same way. Gather some iron? Earn some fame towards your mining skill. Craft a Tier 3 Fire Staff? Well, then you get Fire Staff experience. Oh but you also want some Ice Staff experience? Guess you’re going back out to gather all the materials needed for that (or buy them) and then craft an Ice Staff. Don’t let my little bit of snark confuse you, in general I really love this system. There’s no skill decay and no combination limits. So if you really want to put in the effort, you can master literally everything in the game. Or perhaps more reasonably, learn every staff to T5 and wear plate mail, and be able to craft your own gear set. Combat itself is mostly MMO standard. You have a hotbar of skills that have cool downs, and a basic auto-attack. Start attacking an enemy and you’ll move the the max range of weapon and startup the auto-attacks. where it varies is that enemies also have skills, and those skills have activation times. While the skill is activating you’ll see a bar filling up, plus an outline of the effect if applicable. You can either move out of the way, or use an interrupt skill to stop the attack. Some attacks can’t be interrupted, and they’ll have a slightly different color to the outline. OK, so what is gold used for? Not much is the answer I have for the moment. Gold can be bought and sold for silver, the in-game currency. It can also be used (along with silver) to purchase premium time for a character. So you can purchase a whole bunch of gold with real cash, and then exchange it for a ton of silver. This really doesn’t gain you much, unless you really don’t want to gather at all. Even if you can buy a T6 piece of gear, you still have to have the skill to use it. You could speed up the development of your personal island a bit, but you’ll still run into skill walls there as well. That does sound rather tame, doesn’t it? Surely then, the cash shops in game must have some powerful must-have items that will fuel the purchase of gold, right? Brace yourself for the following screenshot. Not everyone will be able to handle it. Yep, fireworks and guild emblems. Now different cities might have different vendors, but given how expensive or long it is to travel between cities (more on that in a bit) we’ll just have to feast our eyes on this one shop. So, pretty legit, right? Eh….kinda. Remember that premium thing I mentioned? You’re really, really going to want that. Like, really want it. Here, let’s do a quick copy/paste from the official website, and break things down. Basically, you can play if your premium time runs out, but your progression will grind to a halt. So for example, let’s say you’re working towards a skill that requires 20,000 fame to master. With premium, you’ll only need 13334 fame. Keep in mind for that amount you’re probably getting between 30-70 fame per action, which results in a lot of saved actions. To make it even more drastic, most skills have a learning point. 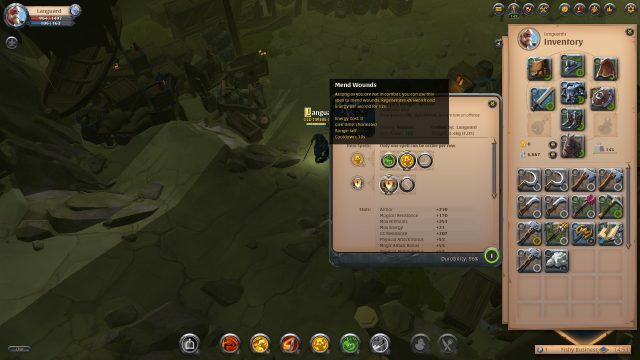 So say about 5k fame, you can choose to spend a few learning points to instantly master the skill. With crafting it’s just as extreme. When you gather, you get 50% more. So if you harvest 100 ore, you actually get 150. And then, oh no we’re not done, when you go to craft, you can turn on focus. Focusing gives yet more bonus to your fame for crafting, and returns 1/2 of the ingredients used! Don’t get me wrong, it is possible to advance without premium, at least at lower levels. At the higher levels though, you basically have to have premium or you will advance at a snail’s pace. I do want to be clear on this, premium has zero impact on using skills. You will not be crippled in terms of gear you can use or skill effectiveness. It only affects progression on the Destiny Board. You’ve mined like a champ, cut down forests worth of trees, and the woodland animals speak your name in quite fear. You’ve got a ton (perhaps literally, if you have a high-end mount) of stuff. So you can just dump it all in one market and call it a day, right? Wrong. Let’s talk zones, PvP, and item loot/durability. Trust me, they’re all linked. It’s a big place out there. First things first, fast travel is extremely restricted. Major cities have an NPC you can talk to that will allow you travel to another major city, though not to any city you want. Coastal cities go to other coastal cities, and interior cities link to others on the same continent. In addition to this restriction, you are charged a fee based on your equipment weight. Amusingly enough, if you strip down to your undies, travel is free. This links into another major detail: Markets and stashes are local, not global. So that stack of 1000 bronze over in City A? Can’t access it in City B. Also given how much freight charges are it is most likely not worth sailing with that much bronze. So you have to walk. As you can see, each zone has up to four connections to other zones. Now you’re given a choice: Do you take the long way around and stick to blue zones, or do you risk the yellow and red zones to shorten your path? It’s the mule that’s scared of the 8 killers, I swear! Yellow, red, and black zones are the PvP zones. It’s a kind of escalation system. 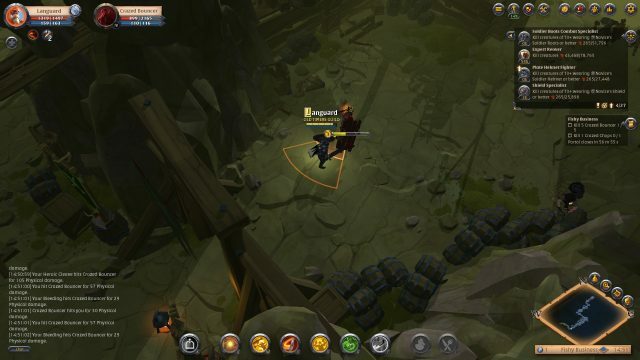 In Yellow and Red zones, you have to flag yourself as PvP before you can attack other players. Of course once you do this others can attack you as well, even if they aren’t flagged, and they get bonuses against you. In yellow zones you just knocked out and drop some silver. In red zones you die and the victor gets to full loot your corpse. Obviously you can lose all your gear in a red zone, but any time you die all of your gear on you takes a durability hit. Once durability gets too low, you either have to pay silver to repair it, or get new stuff constructed. Black zones are special. First, the highest tier zones are black. 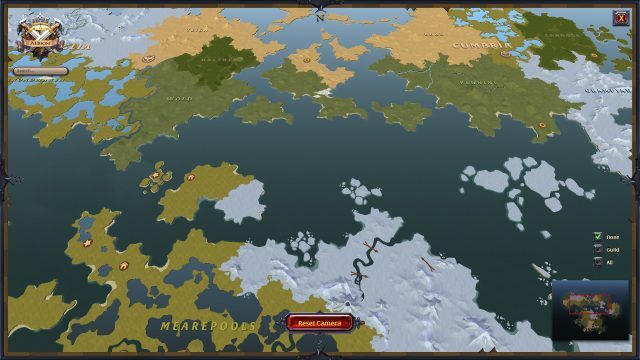 Second, all black zones have land that guilds can own and control. These lands sometimes come with very powerful bonuses to crafting and resource production. 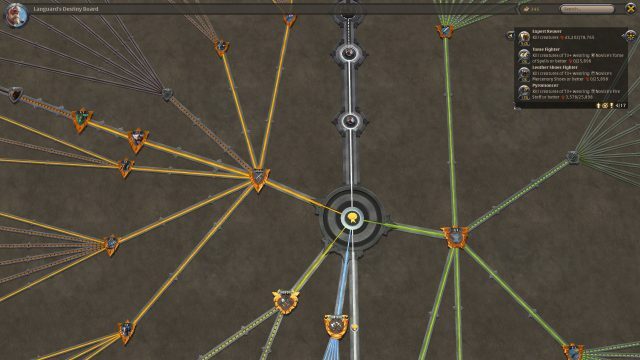 Once a guild takes control of one of these points, they have to invest a lot to maintain them. 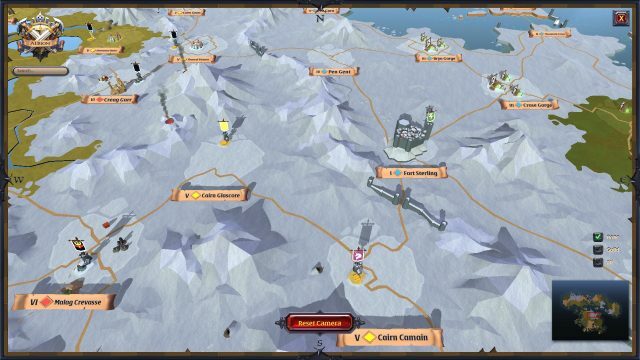 Food needs to be brought in, and other guilds can schedule raids against the territory as well. Oh, and that flagging thing? Not happening in black zones. Everyone is flagged, so no one gets bonuses. It is also full loot as well. If you want to do black zones, you either need to be damn good, or you need to be part of a guild. Speaking of guilds, how does the social bit of the game work? It is an MMO, after all. As far as random grouping goes, there’s basically no tools beyond expeditions. You can ask in local if anyone wants to group up, but that’s about it. 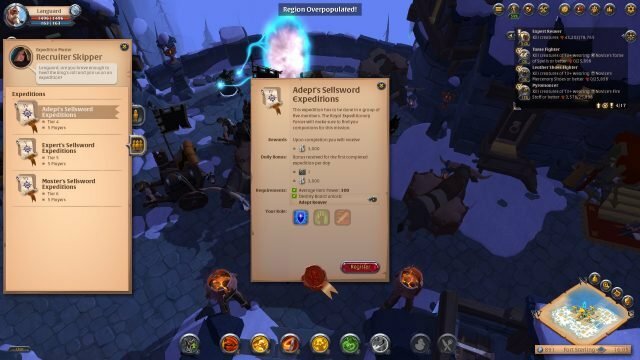 Your best bet if you want to kill stuff with a bunch of randoms is to use expeditions. Just queue up and off you go! In the case of groups, the system will try to balance out the roles, but given how flexible the system is there’s no guarantee this will work. Or you can just go solo and not worry about other people. Either way, an expedition will take about 30 minutes, and is good way to earn some quick silver or test out a new build. Regarding guilds, I think being a member of a good guild is going to greatly enhance your play experience. Now I am I little biased towards guilds since I’m a member of the Old Timers Guild, one of the larger (though not largest) gaming guilds out there. Because of this I have access to a lot of friendly people and a very nicely equipped guild island. As long as you can find a guild that you feel comfortable in, you will have an enhanced play experience, especially when it comes to forming groups for trips into the higher tiered dungeons in the yellow and red zones. I’ve left this one for last because simply, there’s not much to talk about. 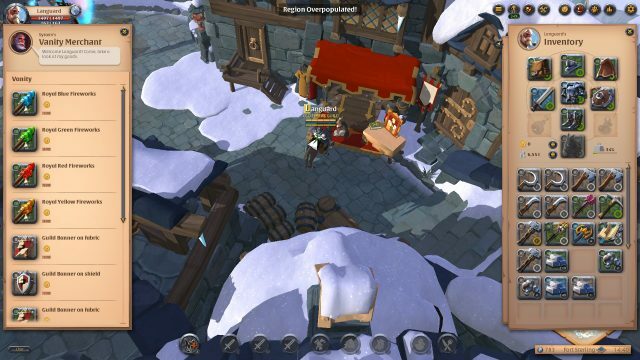 The game uses a simple, low poly isometric art style. You have no control over the camera, it is firmly locked in place. This mostly works out ok, but there have been a few times I’ve had gold drops hiding under arches. The aesthetic is very solid as well, so I don’t mind the low poly nature of it. As I’ve mentioned before, the UI is OK, but definitely could use some work in the clarity department. As for audio, it’s there. I don’t really notice it. The sound effects do their job of giving feedback, and the music just seamlessly blends in. That said you’re not missing anything if you switch it all off and listen to your own music. 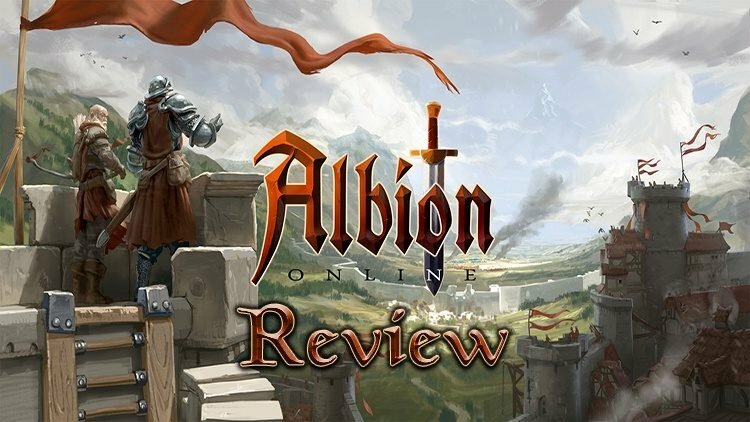 Summary: Albion Online is fun sandbox adventure game with complexity but some UI issues. If you can make your own story and don’t need a quest line to follow, there’s a good chance you’ll enjoy this if you’re into MMORPGs where you chart your own destiny. While there are a few interesting ideas here, there’s nothing that will shatter your expectations, but that doesn't stop it from being a pretty good game overall. Tea. Dragons. Cartography. Video Games. These are a few of my favorite things. Still waiting for someone to combine them all into a holy gestalt of entertainment, but until then I'll just keep playing and analyzing games.